General TV Channel / Kalsan TV - news and entertaiment channel from London. 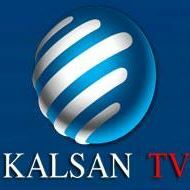 Kalsan TV is a new Somali television channel on 01/03/2013 and is a medium-sized televised television station that will work all the Somali people. Kalsan TV is different from other TVs in Somalia, and I work with professional journalists , techno-professionals, Kalsan TV will not be released or will be released and will be broadcasting on the Muslim Brotherhood and the Somali culture.